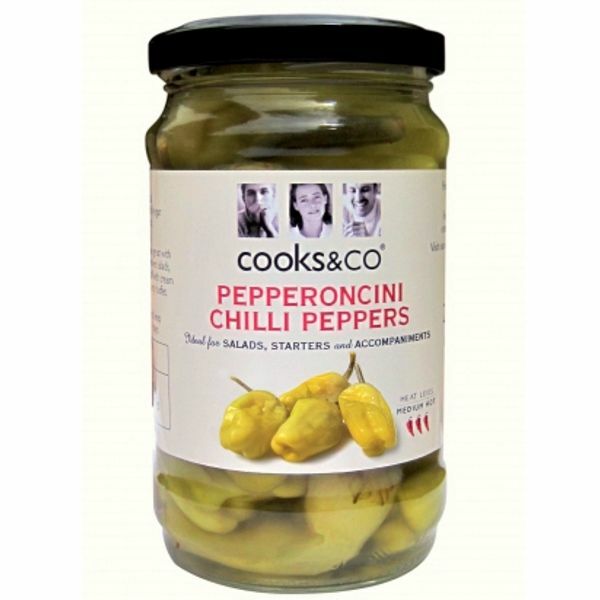 Green Pepperoncini Chilli Peppers - delicious crisp, spicy whole chilli peppers. 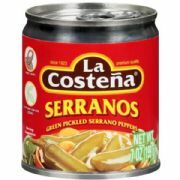 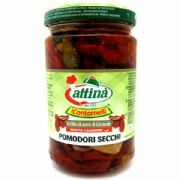 Great with kebabs, burgers and cold meats, salads, pizzas, sandwiches and antipasti platters. 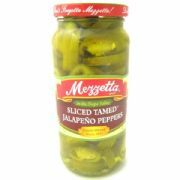 Try stuffing with cream cheese for a tasty starter or canape. 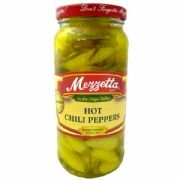 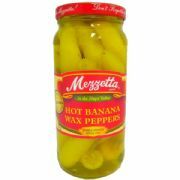 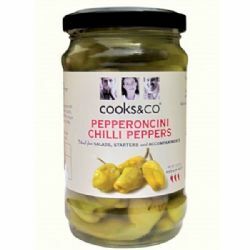 Ingredients: Pepperoncini Chilli Peppers, Water, Salt, Spirit Vinegar, firming agent: Calcium Chloride.